As our name suggests, we cater to a family-oriented environment. Membership is open to individuals and family's alike - classes are all ages (starting at 7 years and up). This allows for parents, children, brothers, sisters, friends and relatives to train together. There aren't many activities that offer this kind of opportunity!!! Take a look at our Class Pictures!!! Fees and Terms - please call or email for our current Fees and Terms! 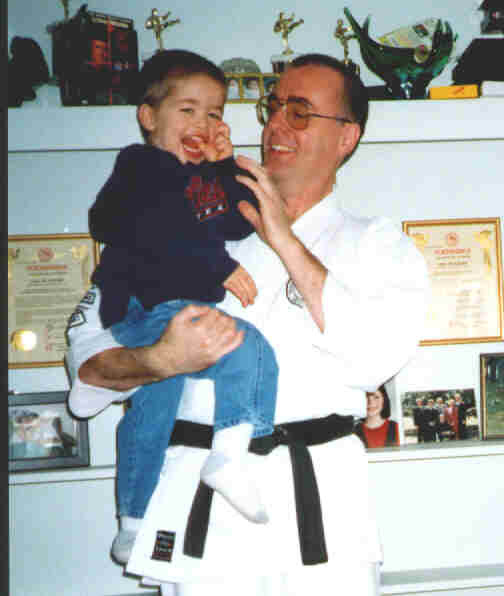 Hanshi with grandson Daniel - a future Karateka (student of Karate)!!! We have 2 newsletters per year which include special articles on Karate, training, student accomplishments, news items and much more. We also host 2 tournaments per year. 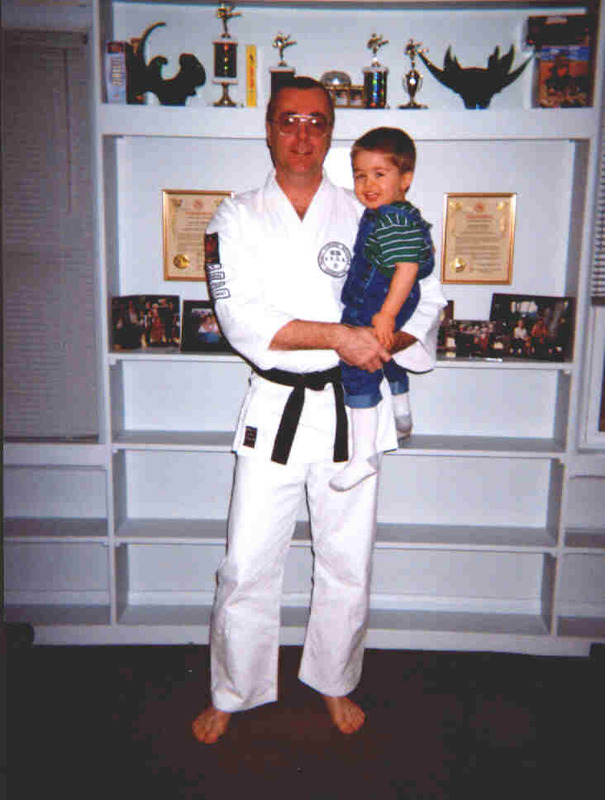 Students also receive a FREE Student Manual upon joining which lists the requirements from White Belt to Black Belt. This is a great way for students to track their progress!!! The ability to motivate your students can spell the difference between success and failure to a school. We at Family Karate Schools realize this fact and as a result have many short and long term G O A L S for students to work towards.